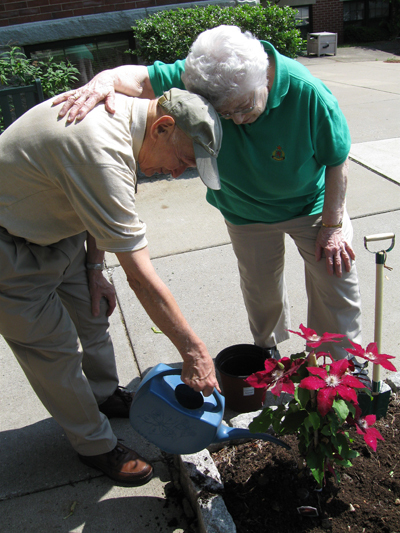 The Marvin provides congregate housing for seniors, age 62 and over. It is located in a residential neighborhood near beaches, bus and train service, local restaurants and stores. Residents enjoy spacious one-bedroom apartments with living room, full kitchen and ample closets. Off-street parking is available. Safety equipment includes smoke alarms and sprinklers, an emergency speaker system, call-for-aid cords and grab-bars. The Marvin's smoke-free environment extends to individual apartments as well as common areas. Eligibility for residency at The Marvin is based on state guidelines related to age, income and level of independence. Dining services. Residents enjoy evening dinners in the main dining room, with meals prepared by Creative Culinary Services, and menus designed to meet the nutrition needs of the elderly. Costs of meals are partially subsidized by the Southwestern Connecticut Agency on Aging through Catholic Charities of Fairfield County. Housekeeping and maintenance services. Light housekeeping is provided as part of the congregate services on a regular weekly basis. Windows, blinds and carpets are cleaned periodically. Safety and security. A staff person or security guard is on duty 24 hours per day to respond in the event of an emergency. Multiple checkpoints alert staff to falls or medical emergencies. Services and programs. A resident services coordinator manages supportive services, meeting with residents and their families/sponsors during time of transition and throughout their residency. Programs range from yoga and Wii bowling to book discussions, health education and entertainment by local musicians. Volunteer opportunities. Residents are encouraged to get involved in the community, including The Marvin itself. Many residents enjoy volunteer opportunities such as planning activities, reception work, clerical support, and assisting at The Marvin Children's Center childcare program. Sponsorship. 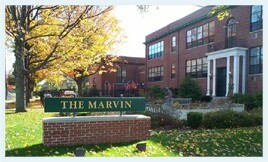 Funded under Section 8-119 of the Connecticut General Statutes/ Congregate Housing for the Frail Elderly, The Marvin operates under the auspices of the State of Connecticut, Department of Housing (formerly the Department of Economic and Community Development) and the Connecticut Housing Finance Authority (CHFA). By making personal assistance available for daily living and healthcare tasks, the Marvin provides dignity and independence for the frail elderly - at costs significantly less than nursing homes. On-site nurse - hours depending on the number of participants. Hands-on assistance with daily activities including, but not limited to: dressing, grooming, bathing, using the toilet, walking, and eating. Personal Services can include changing bed linens in conjunction with incontinence care or other needs requiring assistance more than once per week. Additional core services may include housekeeping, personal laundry and meal preparation. 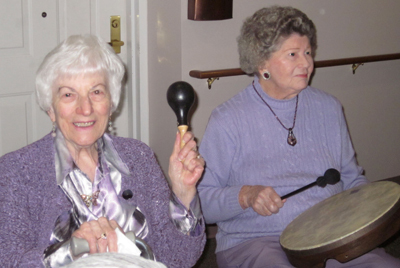 Assisted living services are funded in part through state programs including Department of Social Services/Connecticut Home Care Program and the Department of Economic and Community Development. 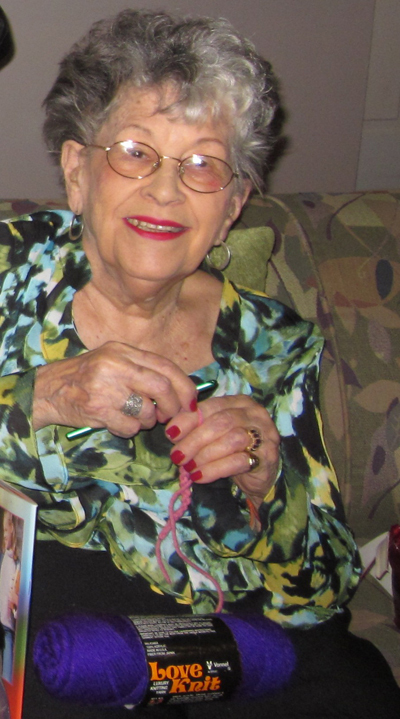 The Marvin is a national model for providing affordable housing and services for seniors, a nationally accredited child care program and a unique intergenerational program. MetLife Foundation/Generations United Intergenerational Shared Site Excellence. MetLife Foundation Award for Excellence in Affordable Housing. Generations United Intergenerational Shared Site Best Practice Awards. Our Board of Directors and staff have unanimously adopted and supported the national "Quality First" initiative sponsored by LeadingAge. Through this covenant LeadingAge members publicly embrace responsibility for assuring that the people they serve receive high-quality care and services. Copyright ©2012 – 2019. Under One Roof Norwalk CT. All rights reserved.